Amy Scott, MSW, is a co-founder of CPS, where she provides psychotherapy and supervision. She has extensive experience working with individuals and couples, and has a particular interest in step-family issues. She was previously coordinator for the Montgomery County, MD chapter of Stepfamily Association of America. Ms. Scott has been a guest on NPR's "Public Interest" program talking about stepfamily dynamics. Her group "Stepping Out" combines therapy, music and movement to help reduce stress and isolation inherent in the stepparent role. She is a long-standing member of the Washington School of Psychiatry's study group on women and psychotherapy and a graduate of their advanced institute for group psychotherapy. She is completing training Dynamic Attachment Re-patterning experience. In addition, she is affiliated with PEP (Parent Encouragement Program). Amy holds an MSW from Smith College and is a Phi Beta Kappa graduate of Franklin and Marshall College. 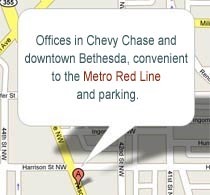 She works out of her downtown Bethesda office. Anne Burrows, MSW, LCSW-C, is a board certified diplomate in clinical social work and a co-founder of CPS. She practices psychodynamic psychotherapy with a cultural sensitivity acquired from her previous residence in Europe, Africa and Asia, her experience as staff therapist with the DC Institute of Mental Health in Anacostia and her pro-bono work as chair of a committee of volunteers at the World Bank assisting international spouses and their families in their acculturation process. Ms Burrows has had 32 years of experience working with individuals, as well as couples and families. She also has extensive experience in guiding clients in their parenting skills. 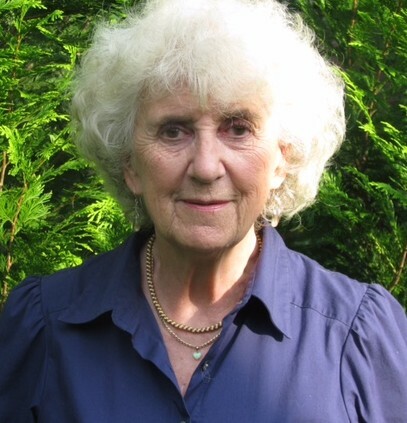 Ms Burrows incorporates the benefits of insight meditation and mindfulness in her work for she has chaired the Study Group "The Couch and The Tree: dialogues in psychoanalysis and Buddhism" since it's inception in 2004 within the Washington School of Psychiatry until the group's present more informal setting. National Association for the Advancement in Psychoanalysis (NAAP). 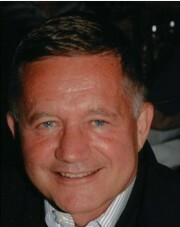 Michael Toth is a Licensed Clinical Social Worker in the State of Maryland and in the District of Columbia. As a therapist who is interested in the well-being of my clients, I have come to trust in the truth that people hold within themselves the answers to their greatest challenges. There is within the human Psyche a deep well spring and desire for comfort, healing and wholeness. My many years in the ministry with diverse populations has enhanced my ability to actively engage people in a non-judgmental manner, listening to them as they share their stories and assisting them in examining the many questions and struggles they face. In offering a client-centered approach to therapy I create a safe environment for the client where change can occur. I have worked with those who struggle with HIV and AIDS, those concerned about substance abuse or addiction; and with sexual compulsivity. I have expertise in addressing issues of grief and loss as well as those facing the challenges of health concerns. as well as, Anxiety, Fear, Depression, Spirituality, Anger Gay/Lesbian issues and Elder issues and Health. By using an eclectic approach to therapy informed by the use of Cognitive Behavior, Psychodynamic, Humanistic, Transpersonal and Strength-Based theories as well as Mindfulness I assist the client in dealing with the issues and crises they are facing. As I do this work, I am reminded that it is possible to live fully into the questions we all have as journey through life. As I assist others, I try to offer them compassion, hope and healing. From our diverse backgrounds and training, we integrate various schools of thought and therapeutic techniques in our work with individuals, couples, families and groups.